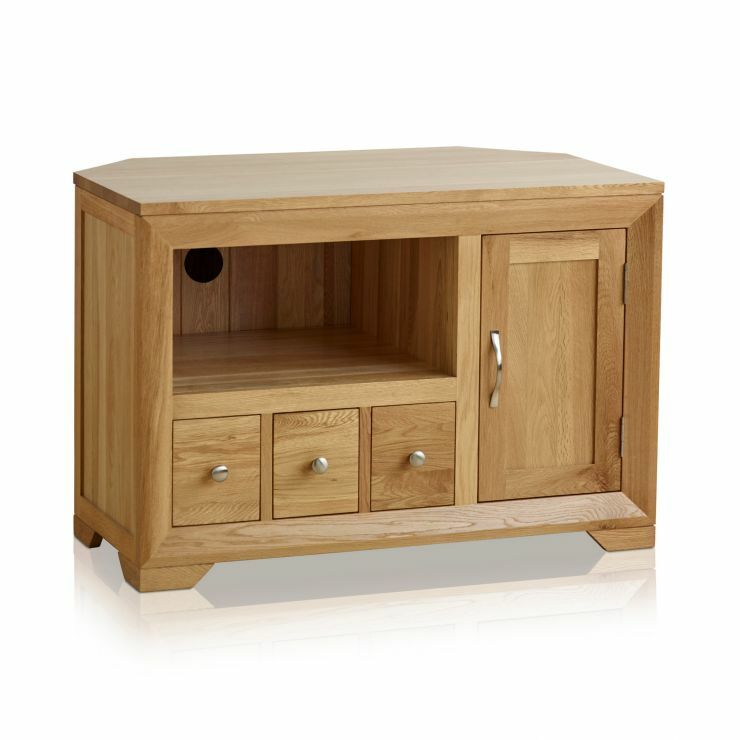 The Bevel Natural Solid Oak Small Corner TV Unit features three compact dovetail drawers, a spacious cupboard for DVDs or games and a large shelving area for your Sky/Freeview box or games console. 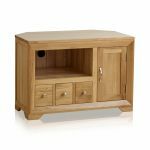 Made from high quality solid oak, the design is distinguished by a softly bevelled face frame with expertly mitred corner joints. 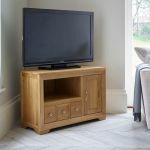 The spacious top will accommodate most televisions and there is a bespoke outlet in the back of the shelf compartment so any wires can be neatly routed. 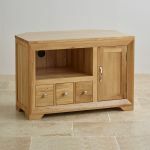 This contemporary unit is finished with brushed metal handles and a fine coating of Furniture Wax to enhance and protect the grain. 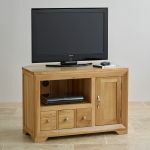 The corner sections measure 22cm each and the back section measures in at 63cm. 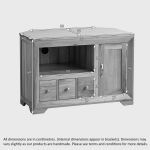 The cabinet can hold approximately 60 standard CD cases.